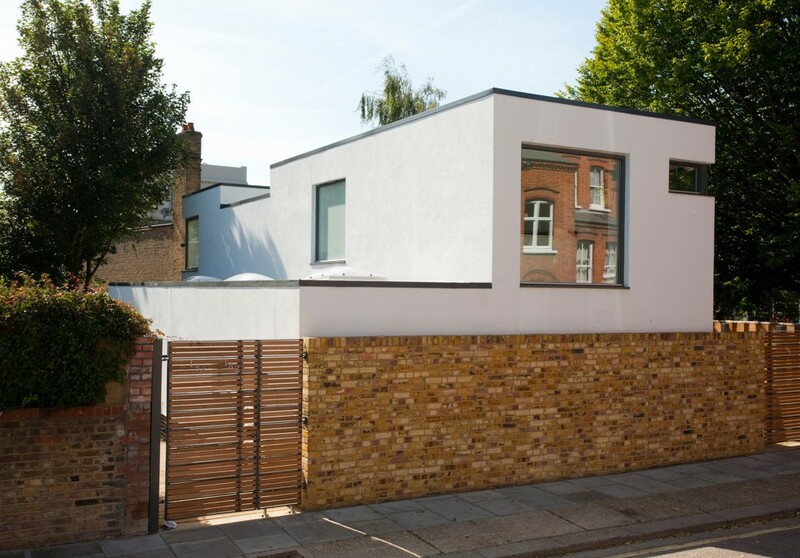 Conceived as an interpretation of the London mews typology and sandwiched in between back gardens and the grounds of Greenside Primary School (designed by Ernö Goldfinger) the scheme is designed to present a distinctive intervention into the varied street scene. 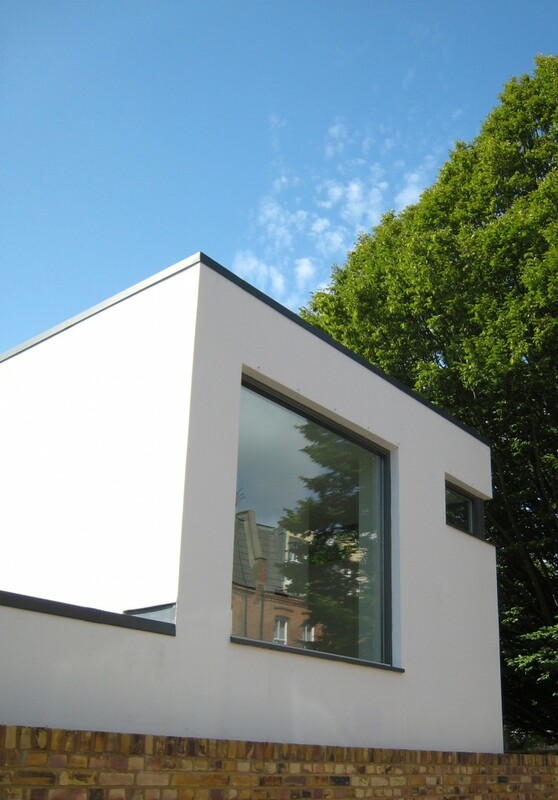 With existing residential and school buildings and gardens so close and a sizeable level difference between pavement and ground level, the challenge was to produce a building which preserved neighbours’ privacy and light and also maximised the feeling of space and light for the occupants of the new units. 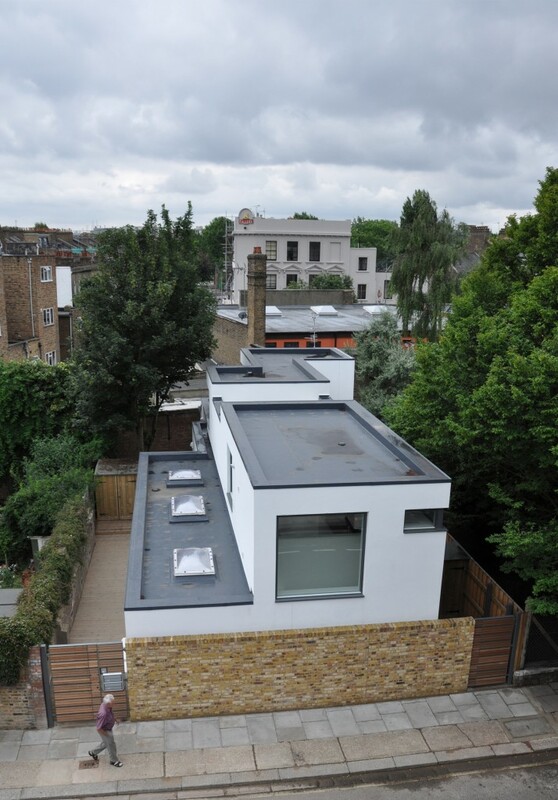 The building is made up of three residential units which all have their own distinctive character and layout, achieved through the use of split levels, double height spaces and framed views which are also designed to maximise the feeling of space within the limited space available.